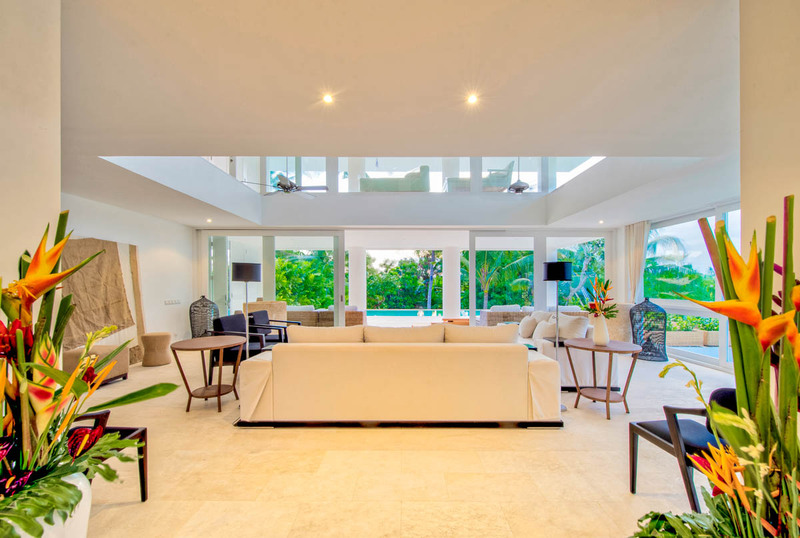 Villa Anila is a stunning, majestic home characterised by an infusion of natural light and bright, airy spaces, within a sedate and secluded setting amid the rice fields and coastal breezes of Perenan. 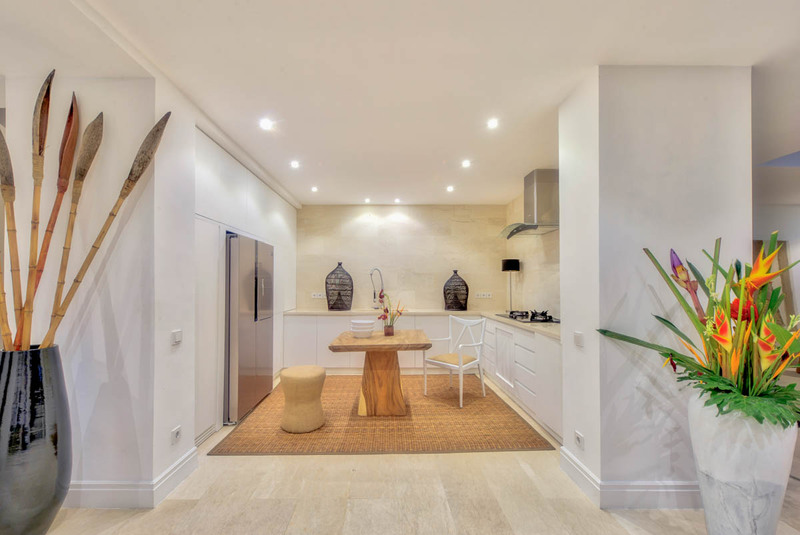 Designed and finished to an impeccable standard by architect Stefano Dorata, the result is an incredibly calm, serene and tranquil atmosphere: a home which is both welcoming and warm, whist not compromising on aesthetics. 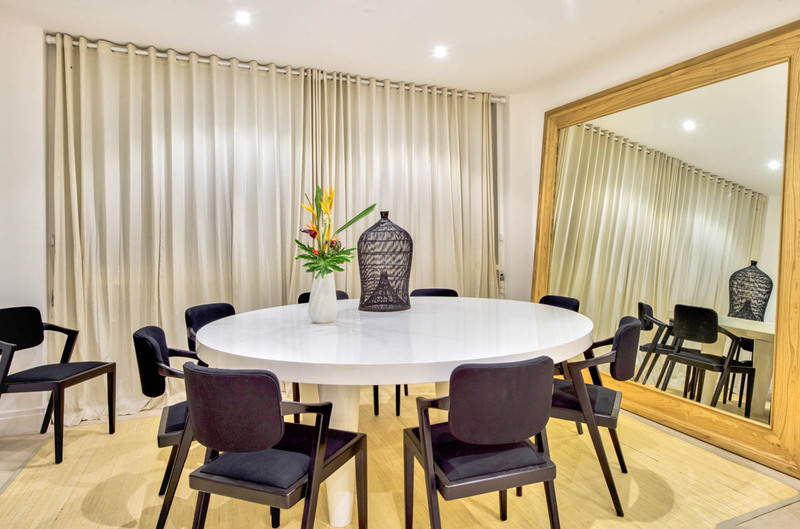 Design enthusiasts and aesthetes will be in heaven, as the natural blend of indoor and outdoor living occurs so effortlessly by virtue of wonderful sociable and dining spaces flowing into one another by way of floor to ceiling glass. 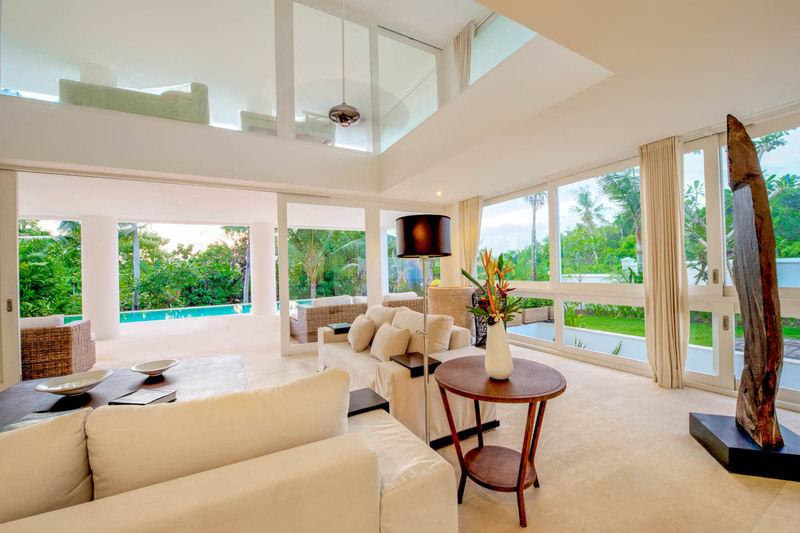 Internally, the ceiling height is impressive, again adding to the ever so airy and calm feel of this home. Whilst being neither ostentatious nor showy, Villa Anila offers the height of comfort within a discreetly elegant backdrop. The pleasingly symmetrical facade and elegant pillars are nothing short of breathtaking, whilst the formality of the design is softened by the gentle flow of indoor and outdoor spaces. 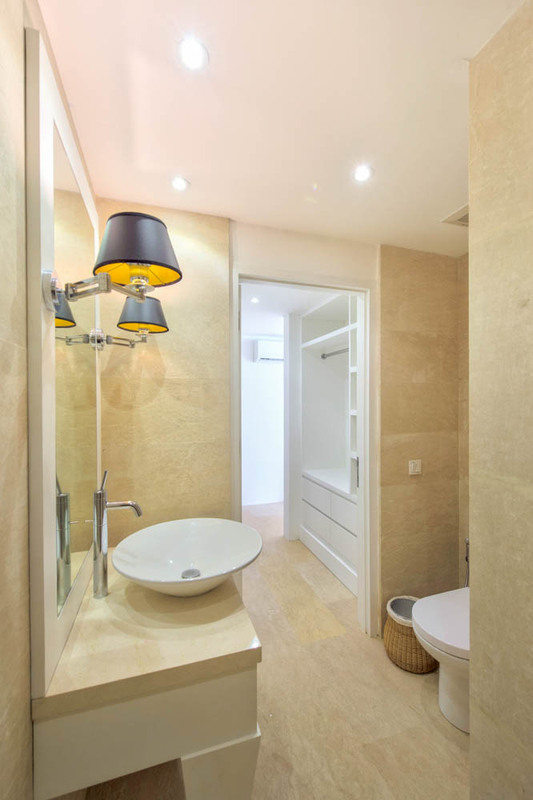 The interiors are crisp, neutral and whitewashed throughout - creating a fresh and airy feel. Understated luxury is the tone of this home, whist it is not short of character and design panache! 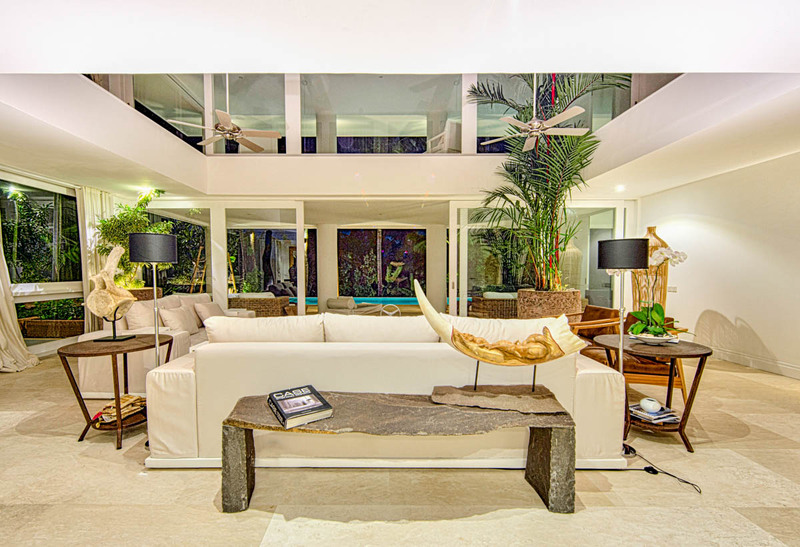 Natural timber accents, contemporary furnishings, funky artwork, designer lighting - stunning light views across tropical overgrowth and palm trees blend to create an oasis of tranquility. 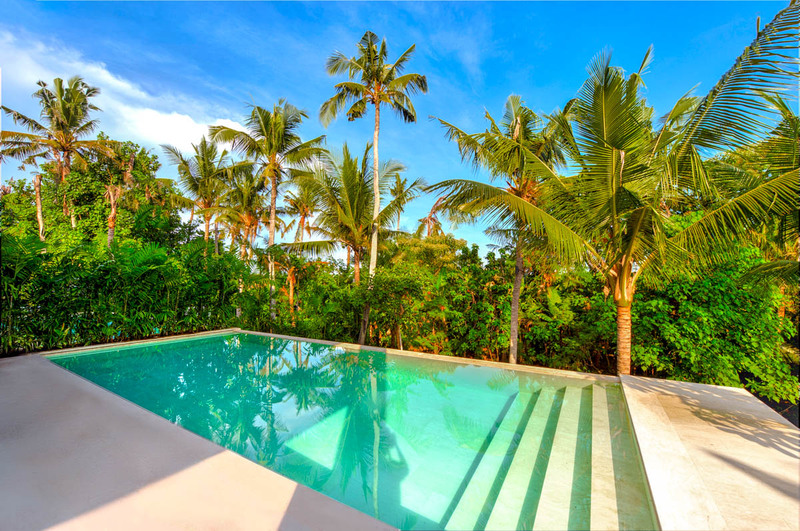 All the while, this home is just five minutes north of Canggu. 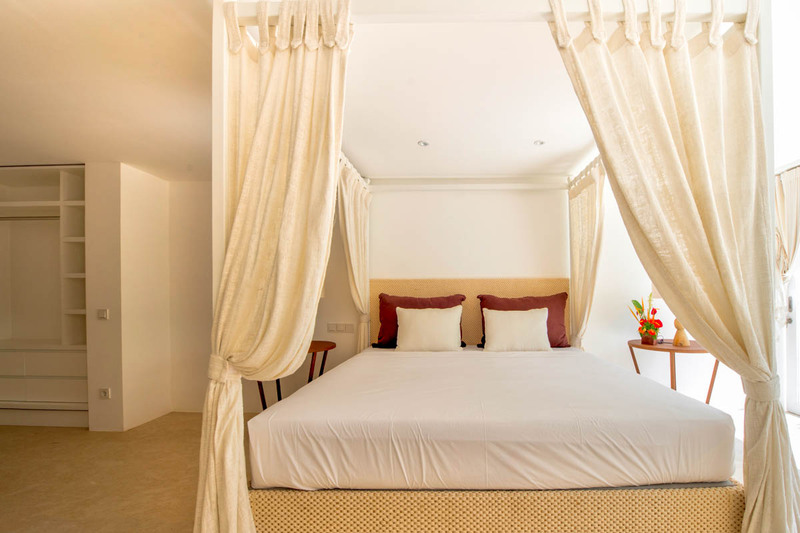 There are five spacious bedrooms, all sumptuously finished, with elegant white draped curtains and far reaching views, with quality, crisp bedlinen. 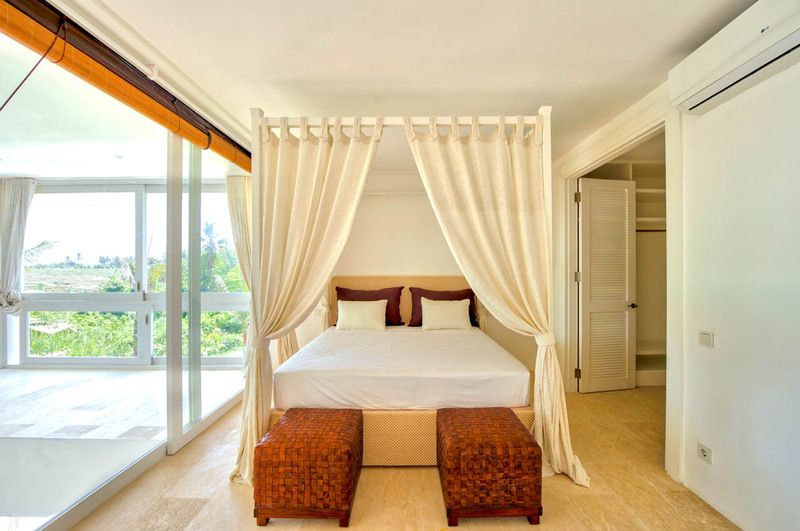 Set over three floors, Villa Anila combines luxury and simplicity, blends the indoors with the outdoors, and fuses a hotel like experience with seclusion and privacy. 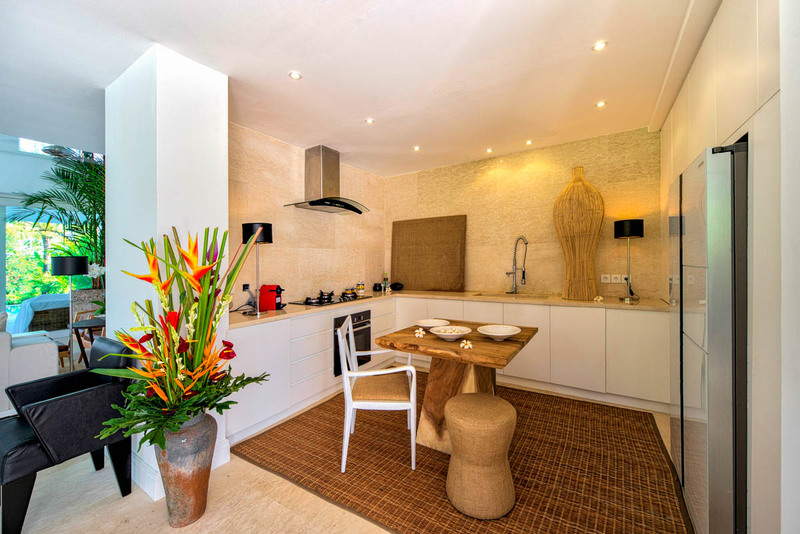 The villa is surrounded by greenery and luscious fields and foliage; below the pool deck is a garden terrace - imagine relaxing with a good book, or enjoying a group sunset dinner party as the light softens across the rice field views! 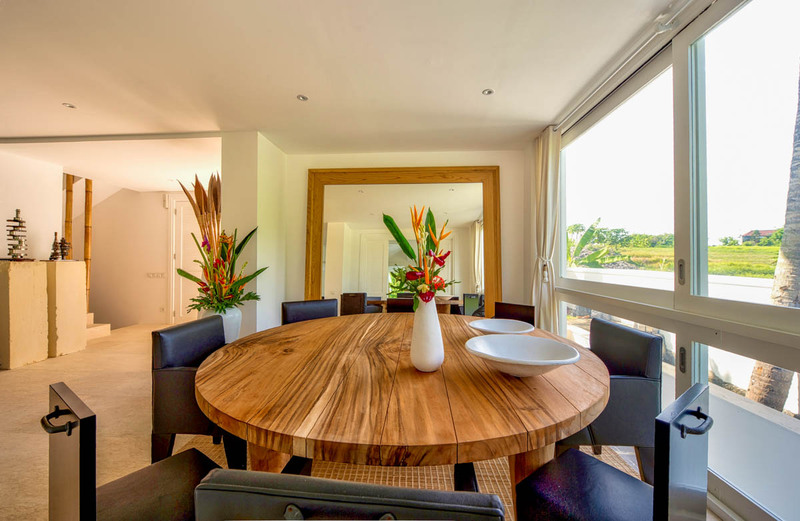 For sedate luxury, privacy and lush seclusion surrounded by green and far reaching views, in an ideal family set up, whilst being close to all local amenities, simply look no further! 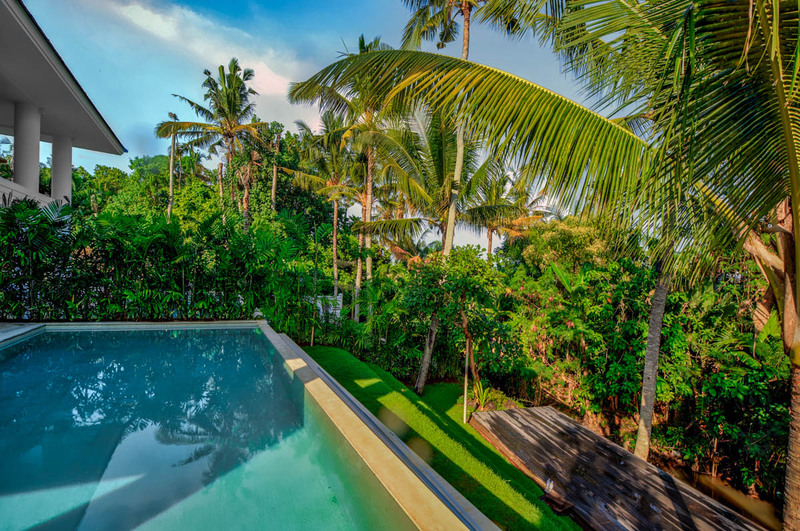 Villa Anila is a five minute drive north of Canggu on Bali’s wonderful south west coast, it is just moments away from the region’s beautiful beaches.